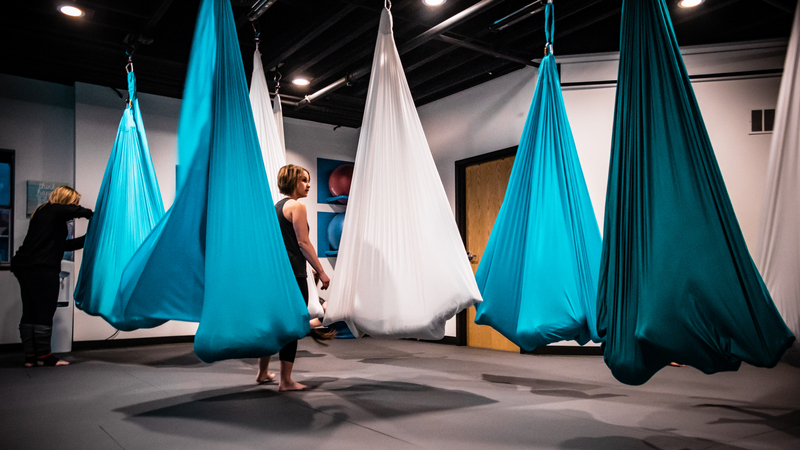 Imagine your child’s birthday party full of swinging, climbing, flipping, and flying. 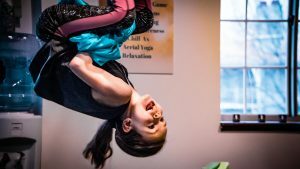 Mindful Child Aerial Yoga parties are unique, FUN, and extremely safe. Our team is committed to making this special day an unforgettable experience for everyone! A fun obstacle course to warm participants up and get them ready to fly. 45 minutes of aerial yoga instruction to learn how to swing, play and fly guided by an experienced instructor. Want something a little different? We can customize your child’s party based on their preferences. To set up your private party please e-mail info@mindfulchildaerialyoga.com. The event date will be secured once the full payment is made. •Once the party date is set and payment is made participants will need to register online to complete the liability waiver. •Parents must register their child’s information if they are under 18. •Parties run for 1 or 1.5 hour party. Mindful Child will provide an instructor and one to two trained assistants. Parents may watch the party in the waiting room through the live video stream. We ask that all food and beverages be provided after the party and at a different location. Up to 10 guest may be invited to participate in the party. The parents and participants may arrive 10 minutes early, if necessary as we may have other classes or parties prior to your party. All guests and participants must clear the studio within 10 minutes after the scheduled event. Fitted shirt that covers underarms and shoulders, comfortable pants that cover knees, NO zippers, snaps, shoes or jewelry please.